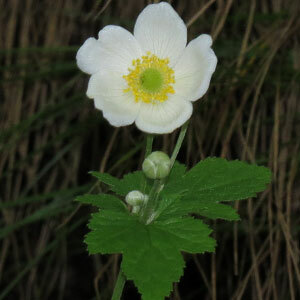 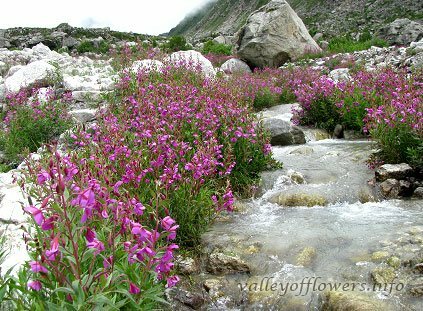 Badrinath, Nilkantha and Mana village | Valley of flowers. 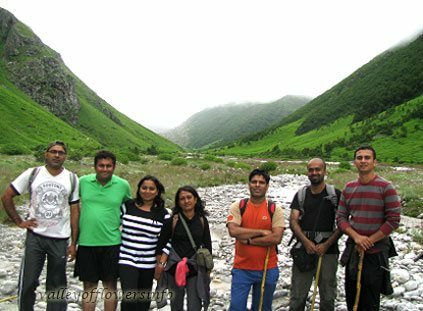 Badrinath and Kedarnath are the two goals of the pilgrims who throng annually to the Himalayas to worship the five deities of Hinduism, Shiva, Vishnu, Devi, Ganesha and the Sun. 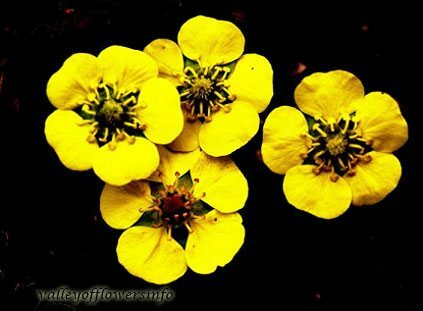 The Raval or the High priest, of Badrinath comes from south India. 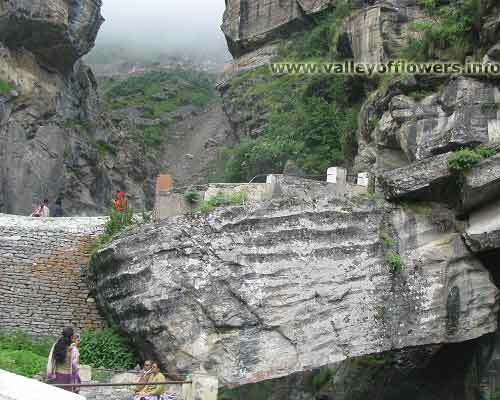 And the Badrinath temple contains the image of Vishnu carved in black stone. 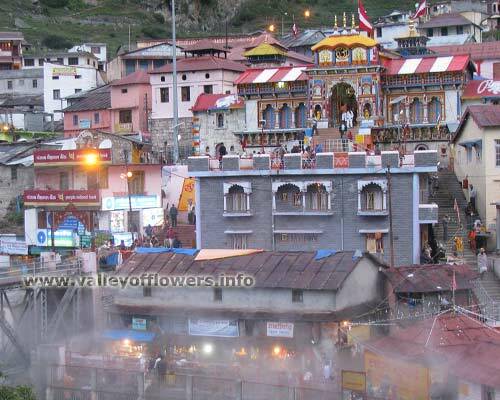 There is a hot spring near the Badrinath Temple, believed to be very efficacious, especially every twelfth year when the planet Jupiter is in the sign of Aquarius. 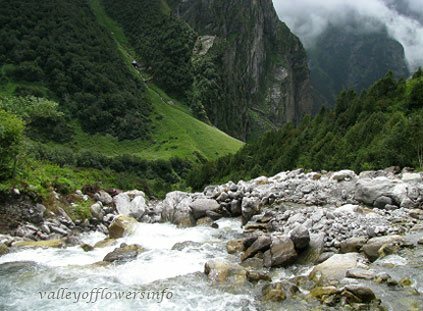 Only one great mountain visible from Badrinath is Nilkantha. 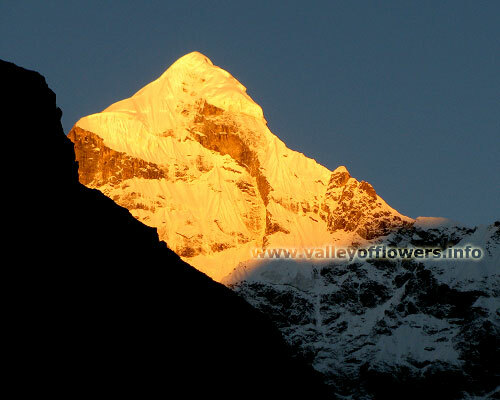 This peak is associated in Hindu mysticism and mythology with shiva, for Nilkantha or Nilakantha, the blue naked, is an allusion to the god whose mattered locks are represented by torn glaciers and eternal snows. 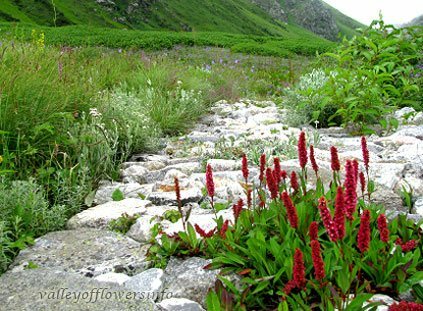 It is very easy to understand why Nilkantha should be held in superstitious awe and reverence by the pilgrims, for there is no more majestic and awe-inspiring peak of this height in the world. 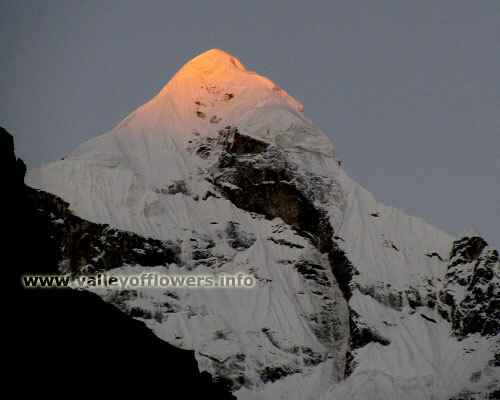 It rises 21,640 feet above sea and its summit is only five miles from Badrinath, 10,159 feet. 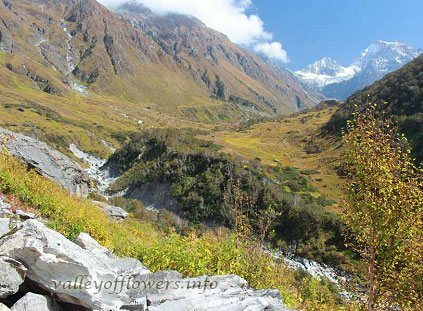 Nilkantha stands alone and has no rival with in eight miles, and is beautifully proportioned, being pyrimnadical in form with a graceful ice-clad summit whence sweep down three great ridges, of which south-east terminates in the Alaknanda Valley at an elevation of only 7,000 feet. 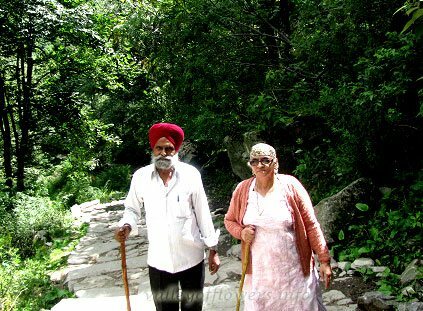 Mana is the last Indian village and is only three kilometers from Badrinath. 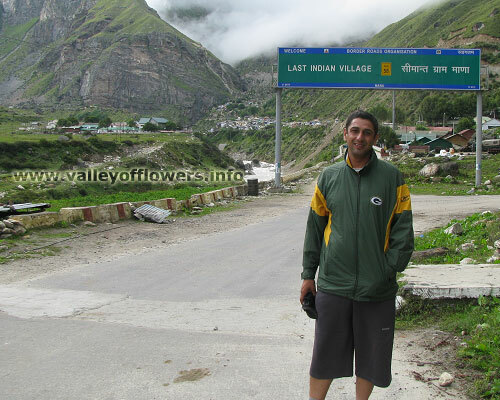 If you visit Badrinath you must visit village Mana. 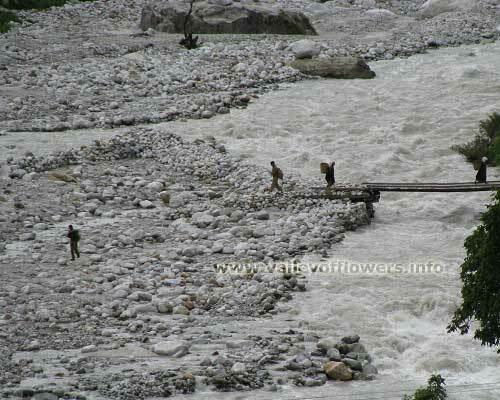 You can see the starting point of river Saraswati, Ganesh Gufa and Vyas Gufa. 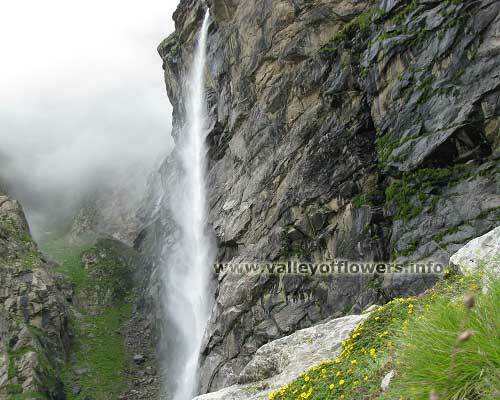 If you have one extra day you may also trek to Vasudhara Falls. 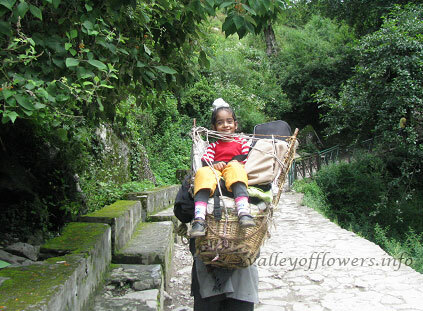 Trek to Vasudhara Falls starts from village Mana. 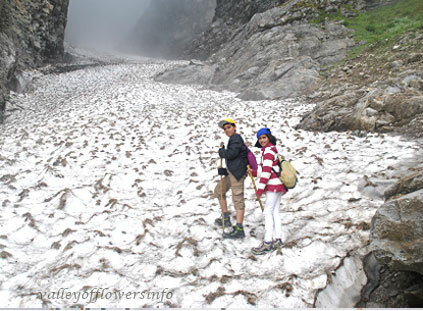 The trek is 6 kilometer one side and you can do it same day from Badrinath. 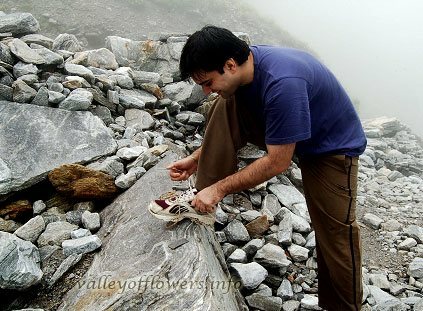 For more detail you can call us on 9991242759 anytime.